Source of Ganges is also known as Gaumukh. Ganges is the national river of India and many people travel to Gaumukh to see the origin of Goddess Ganga and the place is said to be sources of Ganges because Goddess Ganga Come on earth from Heaven after a long Sacrament of King Bhagirath. Gaumukh is located at an elevation of 13200 meters above from sea level and 18 km from Gangotri. Gaumukh is not only popular for Pilgrimage destination but also famous for trekking tour and the best time for trekking in Gaumukh is from 25 April to October. 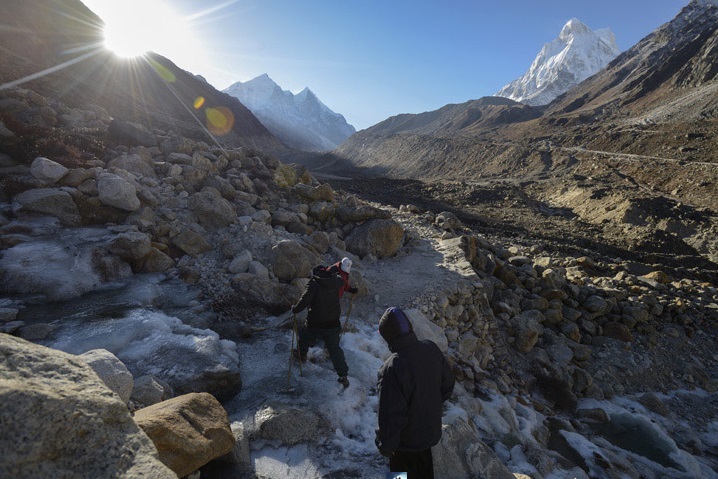 For Trekking in source of Ganges you need 4 nights / 5 days. You can start you tour from Haridwar, Rishikesh or Deheradun. Your first stop will be Uttarkashi that is 160 km from Haridwar & If you start from Delhi then you will have to Stay 01 night in Haridwar or rishkesh, on next day go to Gaumukh along the way to Gangotri for trekking, overnight stay in uttarkashi and next day return to station or airport for going back to home. NOTE : For doing trekking in Gaumukh you must take permission from Uttarkashi mountaineering office then you can start your trekking in Gaumukh.